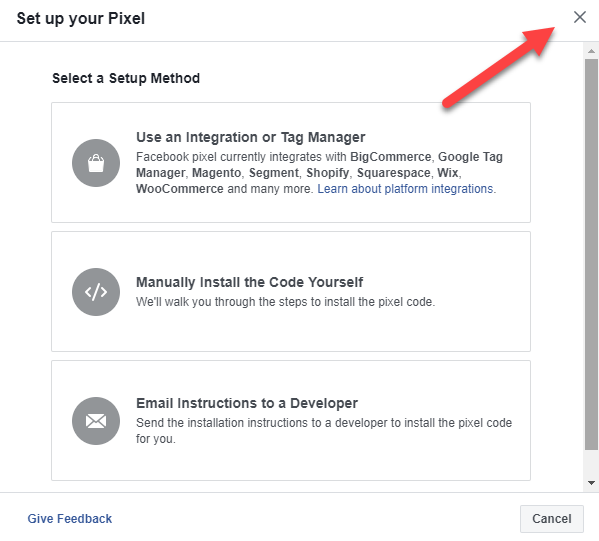 The Invision Community platform allows you to set up facebook pixel, by simply adding your pixel ID into the platform. 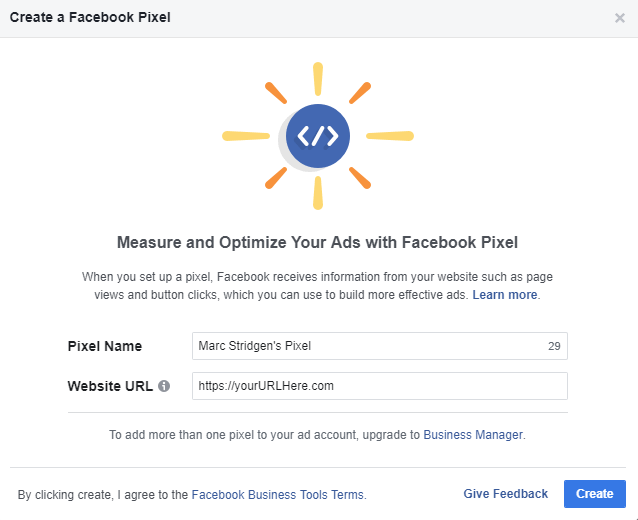 In order to integrate your facebook pixel, you must first create one on the facebook business site. As you are using the Invision Community platform, the next step in creation is not needed. We have added the integration to the software already, so you need only your pixel ID in order to continue here. Therefore we will simply close this screen. You will now see that you have a pixel ID in the top left of your screen, you will need to copy this, as this is what you will need to get started on setting up in the Invision Community platform. Once here, select the "Enable" button under Facebook Pixel. You will then be shown the following where you need to enter your pixel ID and select 'Enable. You can also set a delay if needed, which can avoid re-targeting bouncing users, by adding a delay before the pixel loads.